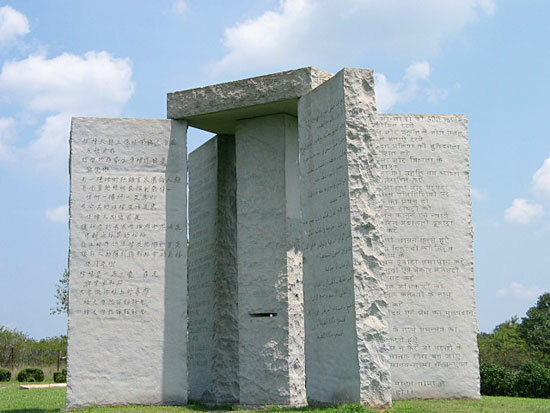 The Georgia Guidestones is an enigmatic granite monument situated in Elbert County, Georgia. Also known as the American Stonehedge, the gigantic structure is almost 20 feet high and is made of six granite slabs, weighing in total 240,000 pounds. 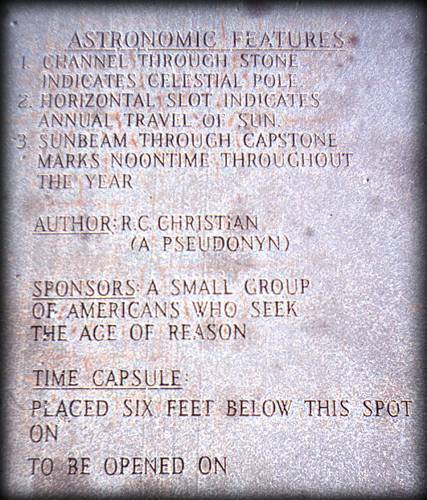 The most astonishing detail of the monument is however not its size but the message engraved into it: Ten rules for an “Age of Reason”. These guides touch upon subjects that are associated with the “New World Order”, including massive depopulation, a single world government, the introduction of a new type of spirituality, etc. The authors of those rules have requested to remain totally anonymous and, until now, their anonymity has been duly preserved. However, this mysterious group left a text explaining the reasoning behind the rules, a text that was not discussed online before. With this new information, the purpose behind the Guidestones become very clear, leaving little room for hypotheses. 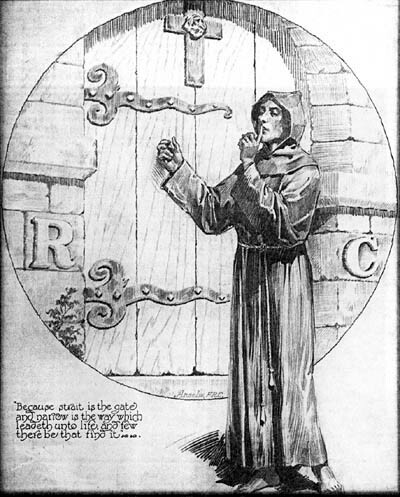 The Guidestones describe the ideal world, as envisioned by occult Secret Societies. 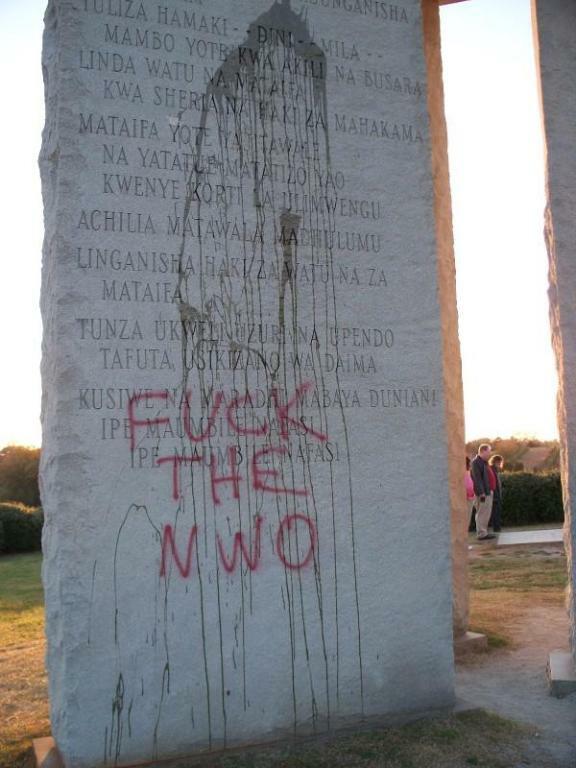 The monument is therefore proof of an existing link between secret societies, the world elite and the push for a New World Order. 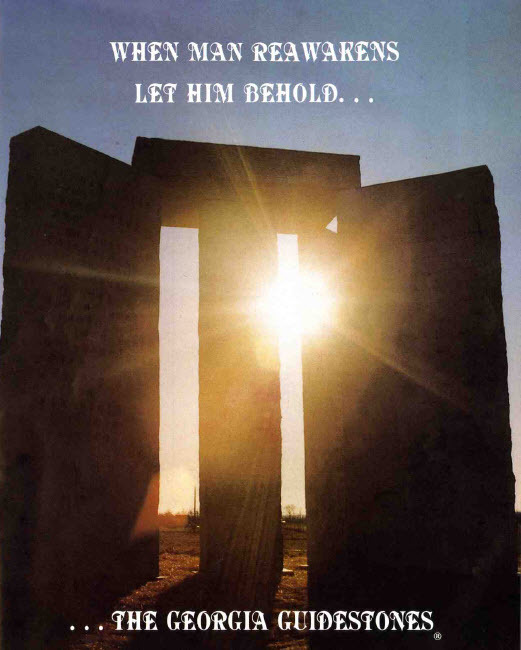 “We, the sponsors of The Georgia Guidestones®, are a small group of Americans who wish to focus attention on problems central to the present quandary of humanity. We have a simple message for other human beings, now and in the future. We believe it contains self-evident truths, and we intend no bias for a particular creed or philosophy. Yet our message is in some areas controversial. We have chosen to remain anonymous in order to avoid debate and contention which might confuse our meaning, and which might delay a considered review of our thoughts. We believe that our precepts are sound. They must stand on their own merits. 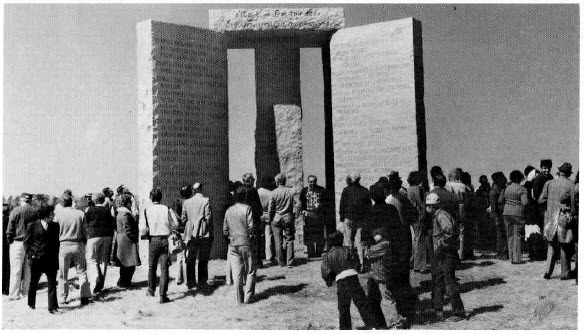 “We envision a later phase in the development of the Georgia Guidestones®. It is hoped that other stones can be erected in outer circles to mark the migrations of the sun and perhaps certain other celestial phenomena. These stones would carry our words in the languages of other individuals who share our beliefs and will raise similar stones at international boundaries in the languages of friendly neighbors. They would serve as reminders of the difficulties which all humanity must face together, and would encourage mutual efforts to deal with them rationally and with justice. “Nearly every nation is now overpopulated in terms of a perpetual balance with nature. We are like a fleet of overcrowded lifeboats confronted with an approaching tempest. In the United States of America we are seriously overtaxing our resources to maintain our present population in the existing state of prosperity. We are destroying our farmland and we have grown dangerously dependent upon external sources for oil, metals and other nonrenewable resources. Nations such as Japan, Holland and Haiti are even more seriously overpopulated and, therefore, in greater jeopardy. 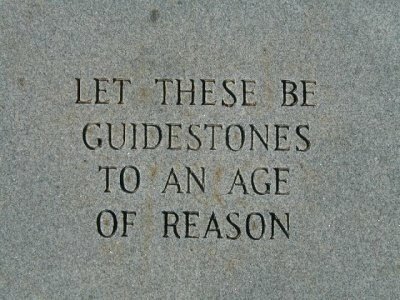 There are numerous references to the concept of “Age of Reason” within the Guidestones. 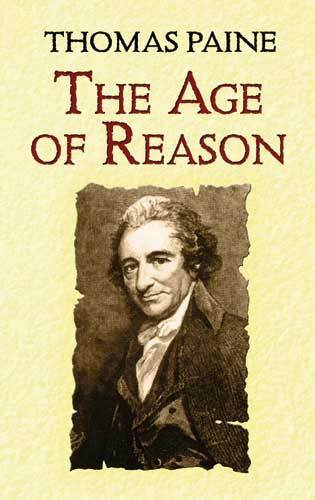 Could they be a reference to the classic work of Thomas Paine entitled … Age of Reason? This monument does have some good points, however peoples desires should not be forgotten simply because they are not rational. Control is important, but people are not simply insects to be squashed, and the poor should not be punished because they want a child. It is societies duty to protect the unfortunate, but not the lazy. If someone tries to succeed and fails they should be helped to try again, but if they can’t succeed help them out of compassion. Most people can succeed if they try, but if they are disabled, either physically, mentally, or psychologically, help them, Without compassion we are but animals with no soul, and even animals are capable of compassion.